Because of my trip I couldn’t stay more than one night. Which is very unfortunate because Koroni Village is a small paradise. The hosts are extraordinary. The apartments and, especially, the garden are a dream. Everything is made with love and ,meraki’. I hope I can come again and enjoy the place more. 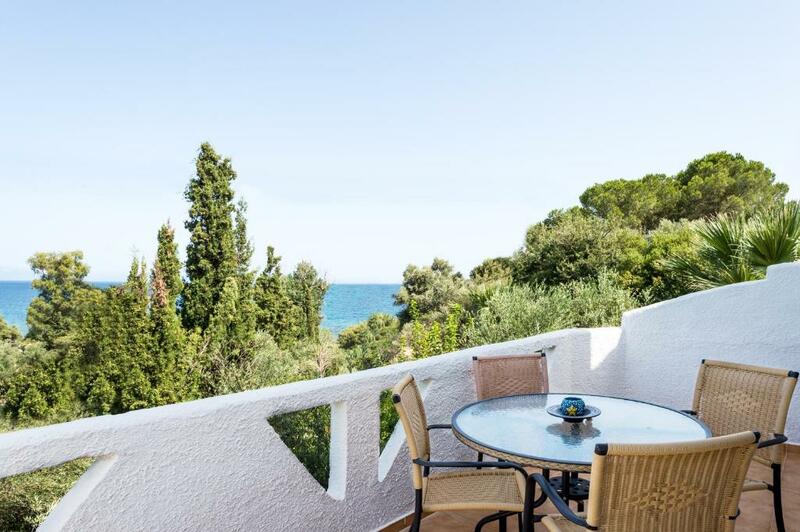 Amazing apartment, situated in a beautiful estate with gardens and flowers, decorated with style and personality. Extremely helpful and friendly owners. 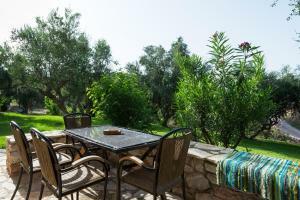 Setting was excellent with lots of olive trees and beautiful green gardens, very close to the nice beach. Accommodation was very spacy and comfortable especially the beds. 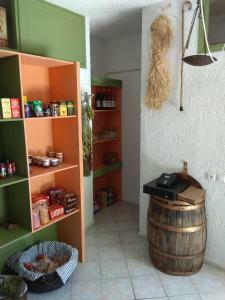 Very well equipped kitchenette and the owners were very welcoming and friendly. We really enjoyed our stay at Koroni village. Thank you. Прекрасное место для спокойного отдыха с детьми. Апартаменты очень большие. Высокие потолки, от этого очень хорошо спиться. Кухня очень хорошо укомплектована. Телевизор со спутниковыми каналами. Очень быстрый интернет. Прекрасный воздух. До моря 5 минут. Прекрасный пляж. Бесплатная автомобильная парковка на территории. Хозяева очень, приветливые. Спасибо большое! Очень рекомендуем! Pulitissima la casa gli ospiti molto accoglienti la cucina attrezzata il bagno finestrato la camera molto ampia e arieggiata la balconata molto comoda per mangiare e prendere il fresco Il giardino che circonda la casa ricco di piante e di ulivi centenari e infine il letto King Size eccezionale la biancheria di ottima qualità e i guanciali e i materassi molto molto comodi. Εξαιρετικο, ησυχο περιβαλλον, ενας φανταστικος κήπος σε πολυ κοντινη αποσταση απο την παραλια αλλα και στα 7' απο την Κορωνη. Οι ιδιοκτήτες πολυ ευγενικοι και με καθε διαθεση να εξυπηρετήσουν, πολυ καθαρο και με την καλυτερη ποιότητα στρωματος που εχουμε συναντήσει ακομα και σε αρκετα ακριβοτερα καταλύματα. Εξαιρετικο για τα χρήματα του, σιγουρα θα ειναι επιλογη μας αν βρεθουμε ξανα στο ιδιο μέρος. Несколько вилл расположенных недалеко от Корони (10 мин на машине). Шум от дороги не слышен. Кругом много зелени. Есть парковка для авто с навесом от солнца. В номере огромный балкон, где можно не спеша позавтракать. Приличный пляж в пешей доступности (10 мин). Есть хорошая таверна на берегу ещё ближе. В апартаментах ежедневно убирались и меняли полотенца. Хозяева очень общительные, приветливые. Lock in a great price for Koroni Village – rated 9.4 by recent guests! 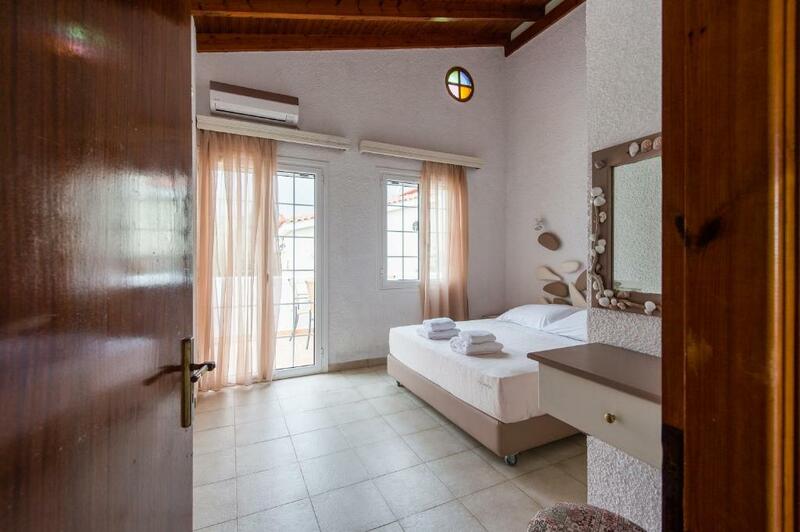 Located only 250 feet from the beach, Koroni Village offers self-catering accommodations with free WiFi and views to the garden or the Messinian Gulf. 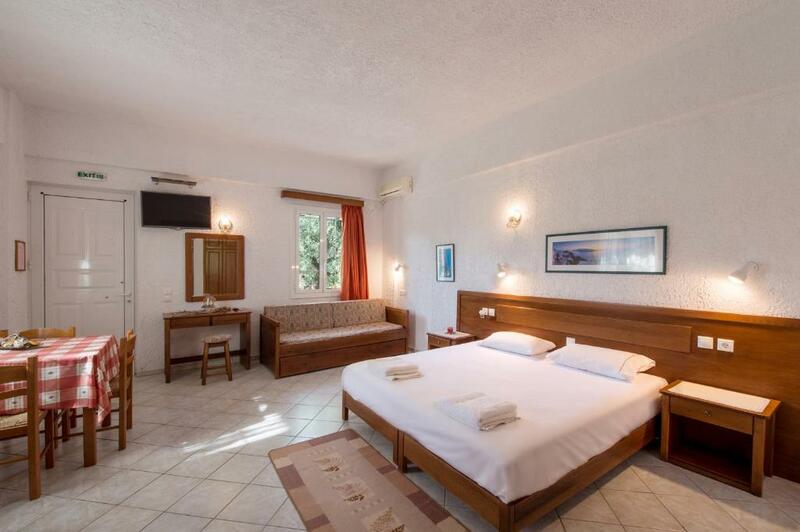 All accommodations types at the Koroni Village feature a TV and air conditioning. There is a kitchenette with an oven and a refrigerator. Featuring a shower, the private bathroom comes with a bath or shower and a hairdryer. At Koroni Village guests will find a 24-hour front desk. Other facilities like a children's playground are offered. The historic Koroni town features a Venetian castle, traditional taverns serving fresh fish and shops. Kalamata Airport is at a distance of 28 mi. Free private parking is offered on site. When would you like to stay at Koroni Village? 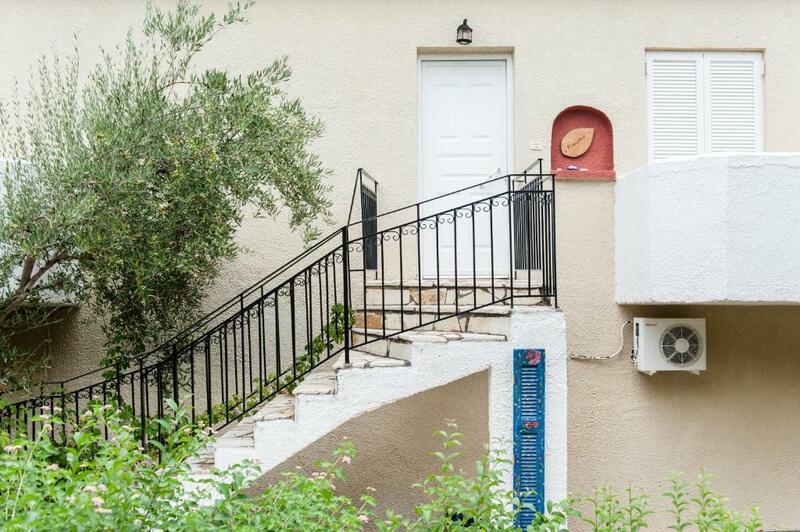 Spacious, air-conditioned apartment overlooking the garden. Offers kitchenette and free WiFi. 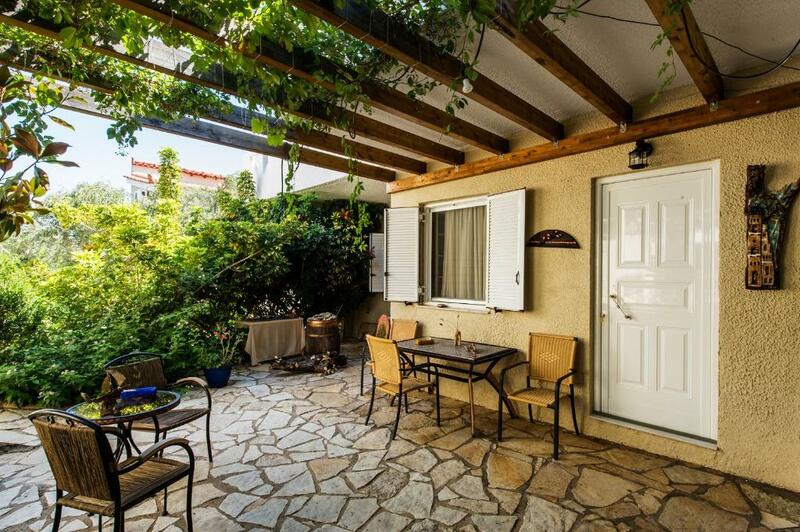 Air-conditioned accommodations overlooking the garden. Offers kitchenette and free WiFi. We have done our best to create a unique vacation spot in our olive grove. We tried to complete Koroni Village showing respect to the environment. 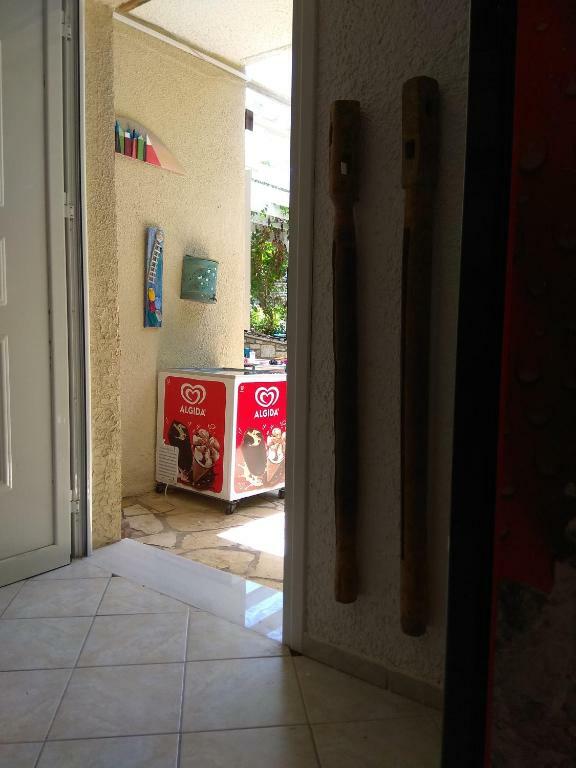 I personally welcome you to Koroni Village. 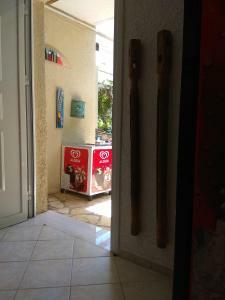 I am Antonis, a young person, who adores being far from the city, crafting using "green materials". Therefore, Koroni Village is the best place for me to combine both!!! We chose the particular area to create Koroni Village, as it is located next to MEMI beach, near Koroni but away from the city noise. 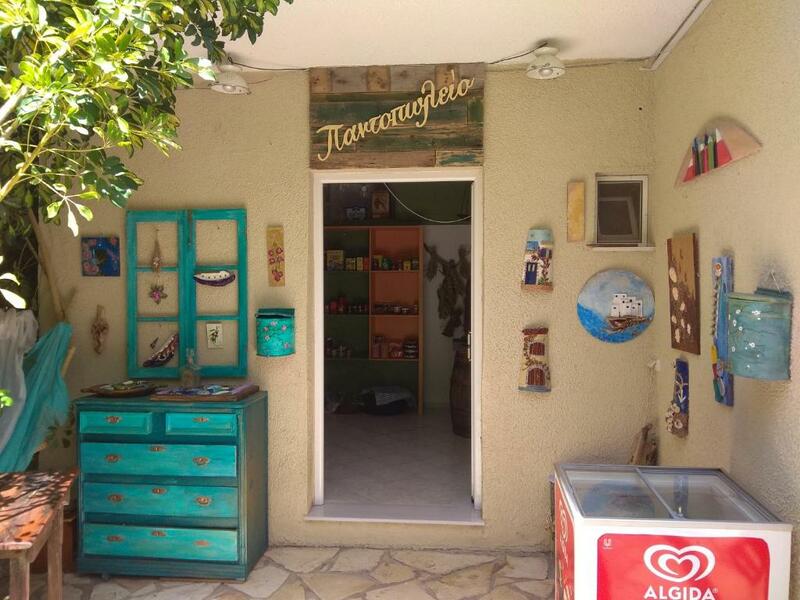 House Rules Koroni Village takes special requests – add in the next step! Koroni Village accepts these cards and reserves the right to temporarily hold an amount prior to arrival. Broken toaletes, not practical doors etc.